Who doesn’t love a great grilled cheese sandwich and tomato soup like Mom used to make? With these kicked-up recipes, you don’t have to be a world-class chef, and they’ll remind you how oooey-gooey good grilled sandwiches can be. Cook the SPAM in a skillet on medium-high until slightly crispy on the outside. Butter the bread on both sides and grill on both sides in a pan until golden brown. 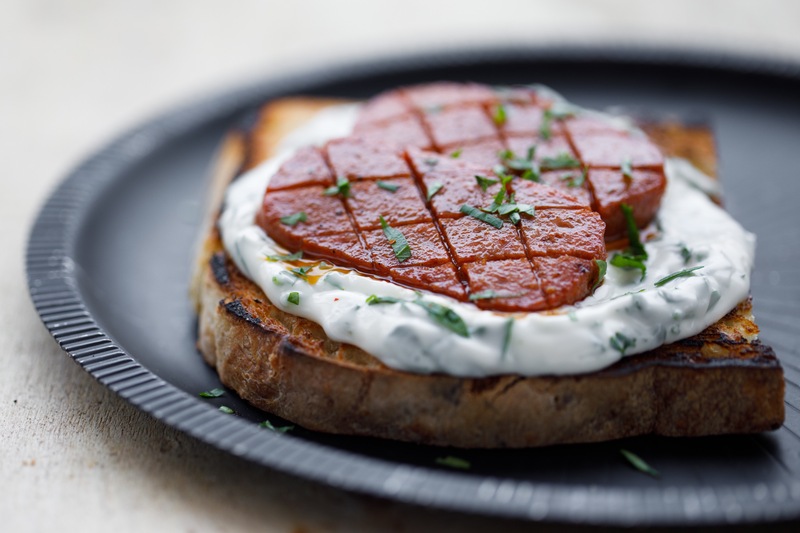 Combine the sour cream with the chives, top the bread with it and place two slices of SPAM on top for each sandwich.